Wolfgang Feist is a founder and director of the Passive House Institute, one of the originators of the passive house concept, and a professor at Innsbruck University. In his Twitter profile, he describes himself as a “curious physicist with interests in sustainability, energy efficiency especially”. Wolfgang: It's very important to do things in a scientific way. Even if you find out things you don't like, it's good to learn the truth. It’s always better to "look the facts into the eye", as we say in German, because it doesn't help to believe in something which isn't true. Lenny: That's something I wanted to ask you about. We get contacted by people who have very (to use one of Wolfgang’s own terms) mythological ideas about what sustainable building is: whether it's people who want to promote something like feng shui to all sorts. W: It’s not our main task to fight such movements, as long as they are not against the rational things to do. It's very difficult to move people if they believe in something. L: Because they’re not thinking rationally in the first place, so how do you argue with them? W: It’s very difficult and I wouldn't invest too much time trying. What is important is for yourself to follow a true scientific approach, something the Passive House Plus magazine certainly does. You follow a scientific approach, meaning that if there are new insights, you might change your evaluation. That’s just the nature of science. This is the way to go, and it brings us the best results. L: You said when you were speaking that the most resistance to pushing passive house or the wider energy efficiency agenda is at national government level, and not European or local level. W: Yes, this is surprising. The European Commission is completely behind the idea, it’s very interesting. I have a theory why it’s so much more difficult on the national level: because lobbyists concentrate on that level. There are powerful lobbyists who want to sell their products, and they have a huge influence on the national level, which was the most important political level historically. W: No surely not – but they are not so important (laughs)! That's one of the reasons. And the second reason is, we have lobbyists in France, we have lobbyists in Germany, we have lobbyists in the UK, but they have different interests. So they can't reach a common lobbyists programme for Brussels. And that's where a rational approach has a chance. We have seen the car industry influencing Germany, and the Germans stopping a very good proposal from the European Commission [to limit CO2 emissions from cars], because of lobbying from the specific interests of some national automotive industries I think the discussion we just had with Mr Pat Cox [former president of the European Parliament] was very interesting. Coming from a European Union level, he sees things exactly the same way. So that’s the way it will work, we can work together with the European Union to promote regional development and bypass national interest groups. 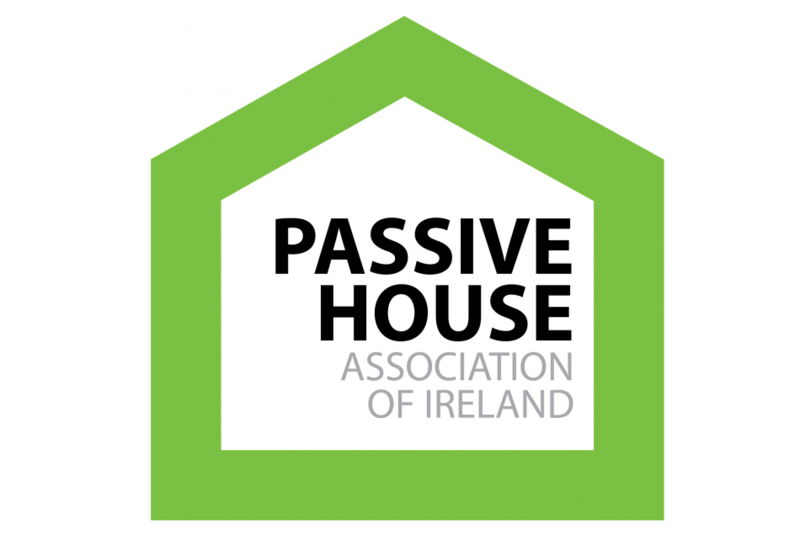 L: Based on today, and on your own travels around Europe, where do you think Ireland is in terms of momentum for passive house and for energy efficiency? W: Seeing the momentum in this room, it’s very advanced. The momentum is very concrete and there are really good examples. I can also tell by your journal. So yes, you are very far and you are not facing a lot of resistance. There might be some resistance, but not the kind I’ve seen in Austria. W: Well, from some big industries. Pushing regulations, making passive house mandatory too fast or even just talking about making it mandatory, brings up resistance. That was what happened in Austria. Most of the time, lobbyists ignore such developments, but when it comes to discussions about making it mandatory, they begin fighting. That’s very dangerous for the passive house movement which isn’t strong enough yet to fight big industry lobbyists. So the best path is to work together with those who want to make it happen. What you can fight for is incentives — for improved construction, or for better retrofits. I just talked with Mr Kraft, who used to have a leading position within the German financing institution KfW. They gave out incentives for energy retrofitting of buildings, and still do so today. He told me about a study from Prognos, a big economic institution in Basel, which proves what I’ve been saying all along but haven’t been able to prove thus far — that the money the Germany government spends on these incentives is more than compensated for by the return in taxes [raised from the retrofit activity]. So this is a really good deal for the government. L: Maybe it’s not the case elsewhere in Europe, but certainly here in Ireland, anytime an argument is made in regards to economic recovery that if you invest a euro you’ll get three euro back, they never seem interested in listening to that long term argument. W: I know, we have had the same discussions in Germany. But with this paper from Prognos, you can really prove it. Everybody talks about the economic benefits of investment in retrofit, but you have to do the research in a proper way. Unfortunately, it is often done incorrectly. Of course you have to be honest. The state partially funds these extra investments in energy efficiency. Some private money is added to it, so the state will be able to recover some of the money spent through taxes. But on the other side, building owners and residents spend less money on oil or gas or whatever, which in turn results in a tax loss. So you have to look for the real net difference. And the interesting thing is: that difference is positive! That is due to the fact that retrofit work is done with employees here in Ireland, or in Germany, while the other thing [oil or gas production] is done far away. That’s what makes the difference. L:You made some comments recently about the importance of retrofitting to a very high standard rather than, say, a medium standard do you think that’s a mistake that we’re in danger of making In Europe right now? W: Yes that’s a big problem. This mistake is being made all the time, everywhere. We have to keep in mind that we are not retrofitting a building every two or five years, because people are reluctant to carry out major renovations. It’s clear why — retrofitting not only costs money, it also creates dirt, and it’s noisy so you try to avoid it. So the fact is you do it and you won’t do it again for 40, 50 or even 60 years. That’s a long time. On the other hand, from an environmental point of view, it’s good to do it only every 50 or 60 years, long lifetimes reduce the environmental impacts. But that way if you replace a window now, you’ve replaced it for the next 50 years. So it’s really important what you choose now. If a new window costs €400 for example, and it’s just €15 more for triple glazing, you would be stupid not to go with triple glazing. This is what I think we should really communicate. If you do something with your building, please think about the choices you make as they will affect your building for the next 50 years. Don’t choose double glazing, but triple glazing. Don’t add 10cm of insulation but 20cm or 24cm. L: One thing that we’ve noticed, and you’ve probably seen this yourself, from architects who maybe focus more on ecology than energy efficiency, they tend to have a kind of scepticism of airtightness and mechanical ventilation. W: We had the same discussion in Germany and Austria 15 years ago. But that changed very rapidly. You have to really show what the problem is if you don’t have an airtight construction. If your window isn’t airtight, you get air exfiltration through parts of your window, you get condensation inside your window, and you get mould growing inside your window It took only five or six years in Germany and Austria to convince almost everybody that it’s a good idea to build airtight. Now the discussion on mechanical ventilation still hasn’t come to an end in Germany. There are two points to it. One is that some people don’t like to have air coming in through a duct. I think by now it has been quite well demonstrated that it works really well. The other thing is cost. And we have to be honest, at the moment, the cost of mechanical ventilation with heat recovery is still relatively high, and it’s not so easy to show that it’s cost-effective. 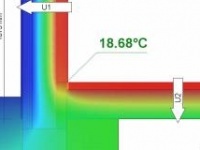 Today, insulation is cost-effective, triple-glazed windows are cost-effective, but mechanical ventilation with heat recovery isn’t quite there yet. I think what we need now is the same thing that happened with [triple-glazed] windows. When we started using these windows, the extra cost was not €15, it was €150 per square metre, which was far too high. But we knew that we would be able to reduce it. It’s the same here. Look at a laundry machine. Cost? €600. And compare that with a ventilation system. Cost? €2,000 [for the MVHR unit alone]. Now, which of these devices is more complicated? W: Definitely the laundry machine. So you see we can reduce these costs, and that is what we have to concentrate on now. This might be another area where we could work together with your journal, launching a competition for really cost-effective ventilation systems. And it’s not only a question of the system, it’s also a question of how many ducts you are going to install. Looking at what has been built, even in Germany — complicated systems with much too much ductwork. It’s not necessary at all. I think for a dwelling, the costs for mechanical ventilation should be in the range of €3,000 [for the whole system including MVHR unit, ductwork and installation]. That’s reasonable and we can get there. And once we do get there, there will be no more discussions, because it’s so much better. 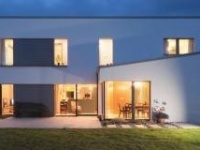 You can see that at the International Passive House Days, you can ask the homeowners. That’s one of the reasons why the International Passive House Days are so important People who live in passive house dwellings sharing their experiences is much more convincing than anything that comes from an expert. People don’t trust experts any longer, and that’s good! L: What do you think are the biggest misconceptions about passive house? W: Well, there is one thing at the moment those who don’t like passive houses, they say it’s too expensive, something you need a lot of extra money to realise. That’s what they’re trying to communicate at the moment. Some parts of the building industry wants to counteract the European legislationthey talk about 15% or 20% extra costs, and that’s not true! L: We see projects where someone has built a passive house and then put in a big and complicated heating system. 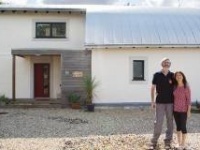 And if they can afford to do that themselves it’s fine, but that will be expensive, and I guess maybe that can create the impression that passive house is expensive. W: That’s another reason why it’s so important to document good examples. Of course there is scepticism, and as a scientist I think it’s good to have a sceptical approach, because there are a lot of people around who promise a lot of things that don’t work. 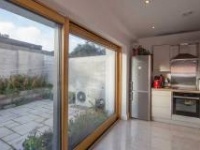 And to counteract the skepticism against passive house, you need to show good examples. So we need buildings which really show that it works with a simple heating system, and that it’s also very comfortable. L: What do you think the next big goals are for passive house, both in terms of campaigning and lobbying, and then in terms of the technical side of things — what are the Passive House Institute’s next big ambitions? W: Wow! There are lots of them. The most important thing generally is refurbishment, there are lots of things to be solved there. You know Tomás O’Leary is working with us on the EuroPHit project [an EU backed project dedicated to step-by-step retrofitting]. I think this is the most important issue right now. And on the other side we are looking at different climates, how to build passive houses in a tropical or subtropical climate. We are in a very early phase of collaboration with the Chinese. China might go passive house soon. That would mean an important contribution to the reduction of CO2 worldwide, because China is the world’s biggest growing construction market.